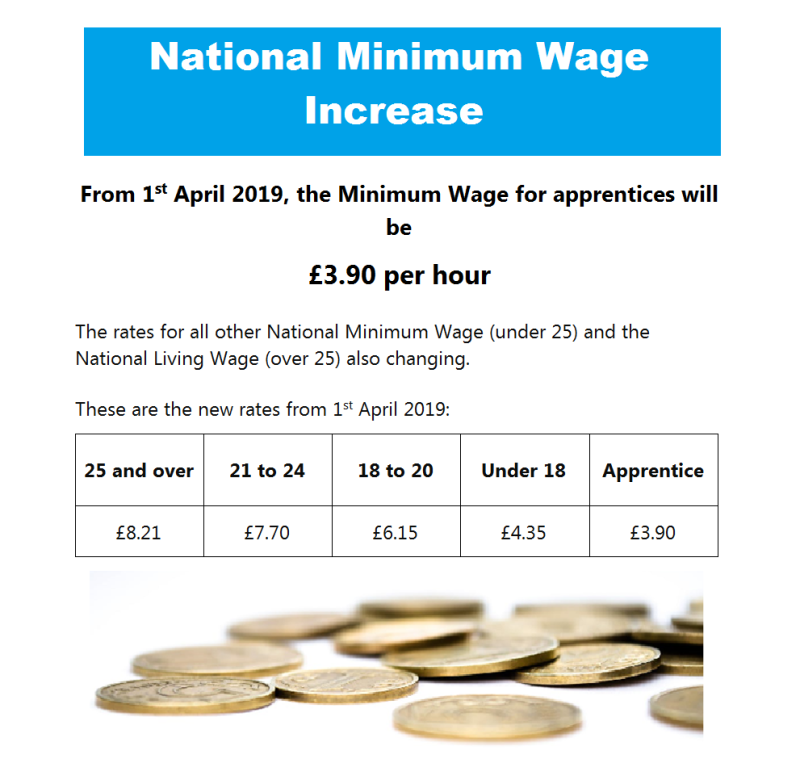 The 2019 increase in the National Minimum Wage came into effect at the beginning of April. Apprentices also get a rise in their rate, and we make sure all the apprentices training with us know how much they are entitled to be earning as they work towards their qualifications. The new minimum rate for apprentices is £3.90 per hour.